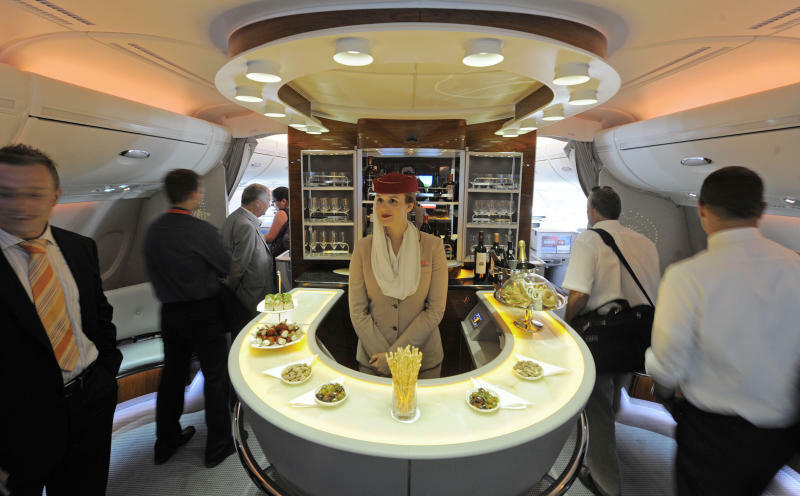 TOULOUSE, France (AP) — To passengers, the A380 feels immediately different — spacious, smooth and oddly elegant for a jet so gargantuan. Yet to Airbus, it's become a burden so super-sized that the European manufacturer is ending its production for good. Just 17 more of the planes will be completed, wrapping up in 2021. 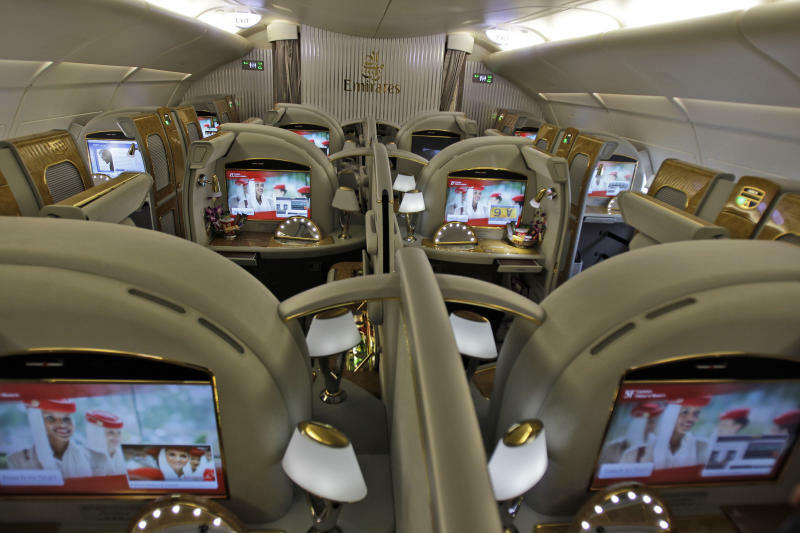 Emirates, its last and most loyal customer, said Thursday it's switching to smaller planes instead. Distraught fans — even within Airbus' own ranks — decried the decision. Unions in Britain, Spain and France fear for the 3,500 jobs Airbus says it might threaten. One of the jetliner's first test pilots took a more philosophical view. While he's "feeling a bit sad" about the news, Claude Lelaie says the giant plane will be remembered for pushing the barriers of aviation, like the supersonic Concorde. "Both made history and allowed progress, technological progress," he told The Associated Press from the southern French city of Toulouse, the cradle of Airbus' worldwide operations. "That's business — you have to ensure the success of the company." This isn't how things were supposed to pan out for the world's biggest passenger jet. Development talks for the plane began in 2000, meant to be Airbus' 21st-century answer to rival Boeing's 1960s-era 747, and one of the most ambitious endeavors in aviation. Its Rolls Royce engines were quieter than ever, far out on the extra-long wings. Carbon-fiber technology was used for the body to make it lighter and easier to maneuver. Its double-decker construction allowed room for bars, duty-free shops and even showers. Lelaie was a co-pilot aboard the maiden flight of the superjumbo in 2005, 101 years after the Wright brothers' first flight. 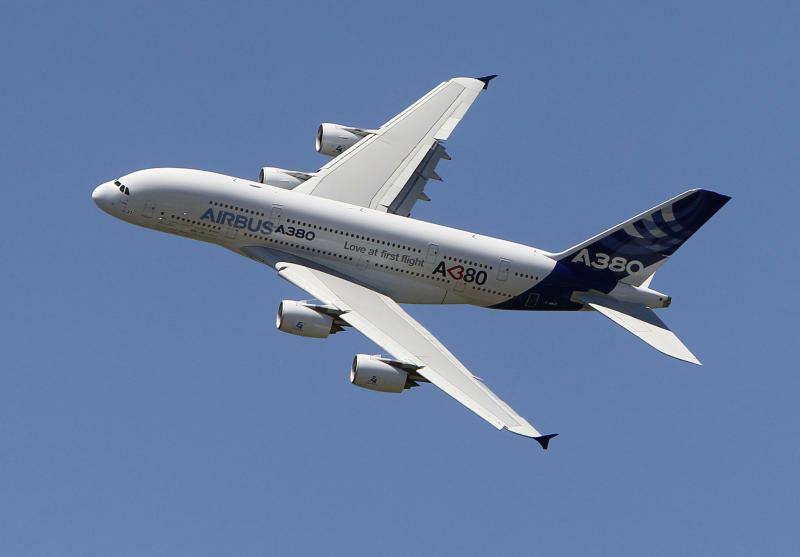 Despite its huge size and weight, he called the A380 a "very nice aircraft to fly" — even on special low-speed flights when they deliberately stalled the plane to test its reactions. Then French President Jacques Chirac hailed the plane as "a symbol of what Europeans can do together." Airbus' then chief salesman, John Leahy, called it "game-changing" for the industry. Enders says the A380 wasn't a flight of folly but a carefully studied gamble. "We didn't stumble into it," he said. "Little did we know how the world would look in 2010, in 2019." Enders said he was "knee-deep" in the A380, and personally suffered from its failures, but the only way to get out of this "trap" was to say good-bye. "The 380 may have just been too large of a step for the market to handle," said Rob Watts, CEO of aviation consulting company Aerotask. The chairman and CEO of Emirates, Sheikh Ahmed bin Saeed al Maktoum, said: "While we are disappointed to have to give up our order, and sad that the program could not be sustained, we accept that this is the reality of the situation." The A380 has been the backbone of the Emirates fleet, based out of Dubai, the world's busiest airport for international travel. Airbus quietly prepared for the decision a year ago, building in the 463 million euros ($522 million) in losses the A380 cost the company last year into its 2018 financial results, announced Thursday. The company posted a jump in profit and upbeat forecast for the coming year despite a slew of challenges, including Britain's pending exit from the European Union without a new trade deal. Even though the A380 wiped billions off Airbus profits in its development phase, Chief Financial Officer Harald Wilhelm says the company is expecting to break even on the overall program before it's scrapped. Among those who foresaw the A380's demise was analyst Richard Aboulafia of Washington-based Teal Group. "But thanks to the strength of the market right now, and the strength of Airbus's other products, the damage will not have a huge impact on the industry," he told the AP. "For Boeing, it has been a very long time since they needed to worry about the A380 as a competitive factor." The A380 is still among the youngest aircraft in the skies, and Airbus will maintain the more than 230 planes currently in service for years to come. Guillaume Faury, who takes over from Enders as CEO in April, promised: "It will continue to fly."